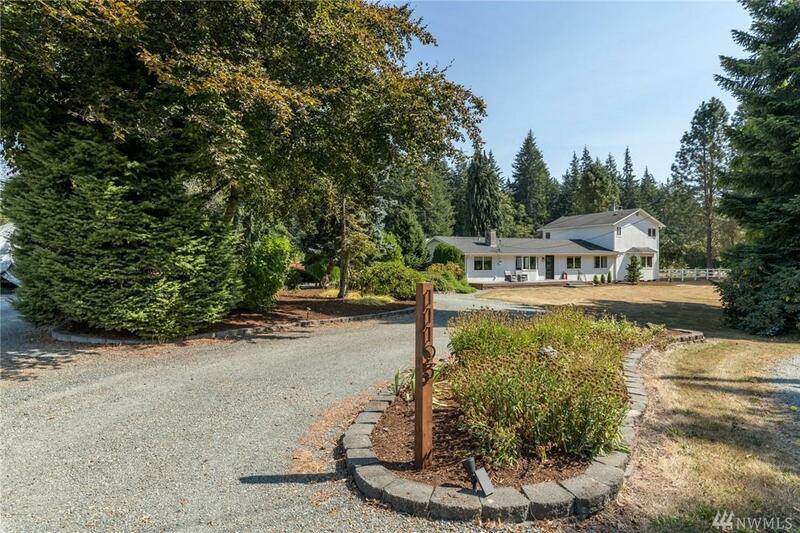 The perfect Anacortes location " with acreage! 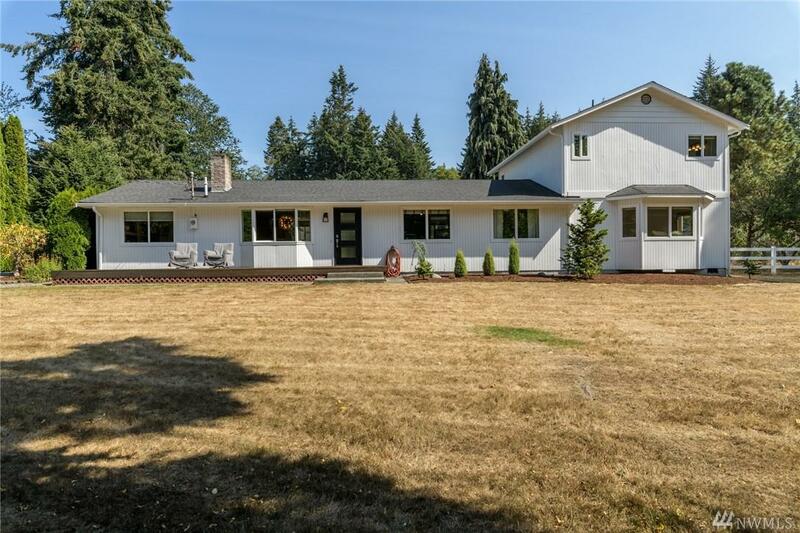 Minutes from town, but nestled on a peaceful private road. 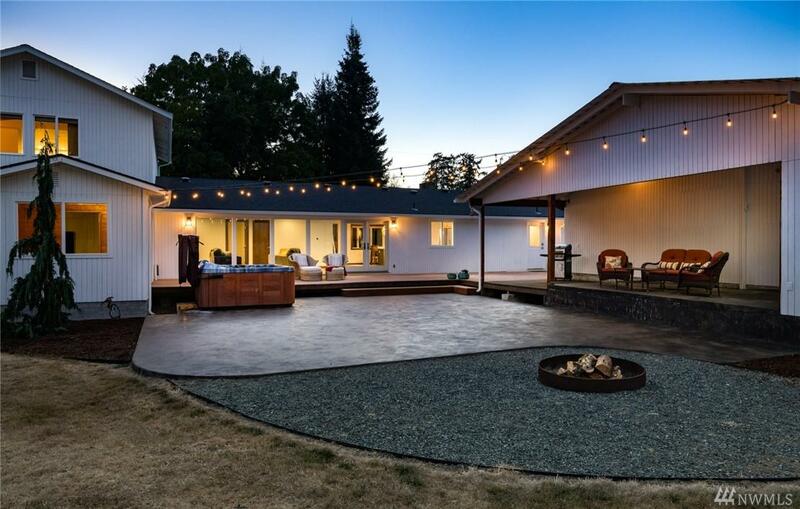 Nearly 2 flat acres, with a 1000 sq/ft garage/shop, gorgeous covered patio " so much space. 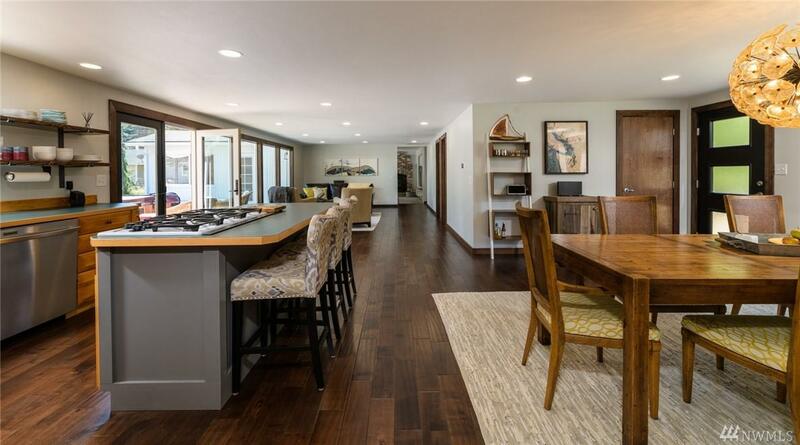 Expansive feel, updated open living, floor to ceiling windows. Two bedrooms, office, and den downstairs, and an oversized master upstairs. Additional room for third bath or studio. An incredible setting, not often found in Anacortes. Create a garden, have horses, or just enjoy the tranquility.